Hiro Nakamura returns in the first episode to tap the series’ potential. It feels somewhat like Heroes Reborn has been leading up to this. While the series treaded water for a few episodes, “Game Over” speeds things up again, offering answers, new questions and even a few resolutions. While it doesn’t completely fix every issue, it’s the shot in the arm the show needed and marks what looks to be the turning point for the revival. With Noah Bennett, Quentin and Miko all converging on Renautis’ campus in Colorado, a few secrets were revealed as Noah dug into the mysterious corporation’s plans for the future. Meanwhile, Tommy ponders his supposed destiny as someone who will help prevent the catastrophe glimpsed in “The Lion’s Den.” The focus on a smaller group of characters really worked to the episode’s advantage here, as the once isolated groups of characters now feel more like they exist in the same world, as it did in the original Heroes. While the episode frustratingly didn’t explain a few things (seriously, who is the Penny Guy? ), it did finally provide answers to a lot of questions, particularly those surrounding Katana Girl—whose purpose and role in the series not only makes sense now, but is pretty interesting. The Tommy segments didn’t fare quite as well, as his angst over finding out his mother adopted him coupled with him being told he needs to save the world led to some predictable soul searching. While the talk of prophecies and destiny was all pretty generic, it did help to also get a bonding moment for him and Emily out of it. Luke also had a small role in the episode, as a meeting between him and Malina led to an unexpected team up. Considering Luke’s arc of redemption is one of Reborn’s more intriguing stories, it’s disappointing more time wasn’t spent on it. “Game Over” felt like a turning point for Heroes Reborn, with the set up out of the way and the series finally taking off with a defined goal to work towards. Adding to this milestone was the show’s various characters interacting with each other. 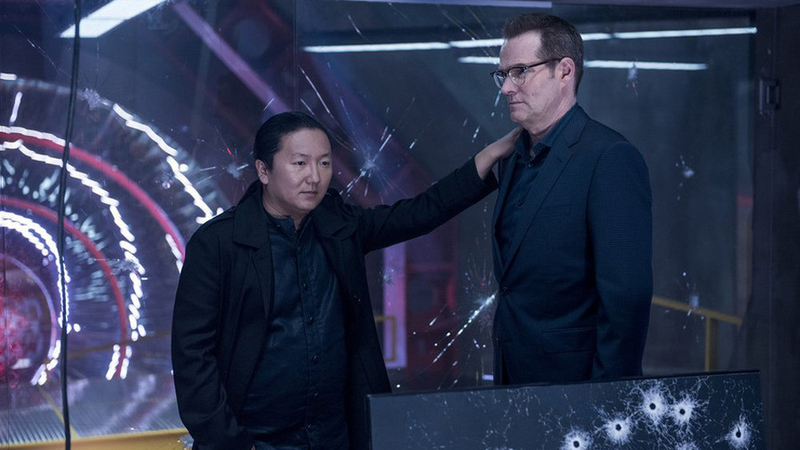 A lot of great answers about the ongoing Renautis plot and Miko did a lot to move things forward, and although he was only at the end of the episode, it’s never bad to see Hiro Nakamura. Do you like the anthology style? Will you be waiting to binge watch ‘Heroes Reborn’? Tweet me @MaxMielecki. And be sure to follow us @YouNerded.